Heating, Ventilation, and Air Conditioning (HVAC) technicians work in a rapidly growing, challenging, and technical industry with plenty of opportunities. Advancement in this field is mostly based on experience and skill, not on degrees or formal education. If you learn quickly and have an aptitude with practical and technical work, it is more than possible to develop a high-paying, stable career working as an HVAC technician. It is even viable to create your own company in the HVAC industry, allowing you to control your own work and earn a higher salary. The HVAC industry is one the most stable, consistent industries in the economy. After all, people always need heating and air conditioning, even if there is an economic depression. Between 2011 and 2012 alone, employment in the HVAC industry grew by 21%, and the Bureau of Labor Statistics expects this rapid job growth to continue (Advanced Technology Institute). This is nearly double the growth rate of other jobs. If you are a trained and effective HVAC worker, you can expect consistent, well-paying work. If you are interested in practical engineering, a career in HVAC may be an ideal option. This industry involves working with complicated machinery and systems, which gives you abundant opportunities to decipher perplexing problems. Of course, there are a variety of difficulties of working in HVAC, which this article will detail in full. A few the most significant disadvantages are uncomfortable work conditions, relatively high chance of injury, and low pay for entry-level positions. However, a career in HVAC can be a jumpstart into more advanced and better-paying fields, like electrical engineering or mechanical engineering. If society didn’t have HVAC technicians, we would still be huddling under blankets and sweaters in our freezing houses or sweating in our sweltering cars. Without the work of the HVAC industry, preserving food and medicine would be almost impossible. HVAC workers have a significant opportunity to directly affect the daily life of their customers. There is no typical day in the HVAC technician’s career (HVAC Career Now). Every day brings a new situation to deal with and different, unique problems to solve. Many HVAC workers love this aspect of their job. They never do the same thing every day, and work is almost never monotonous, predictable, or repetitive. One day, you might be working to install a complex air conditioning system at a huge commercial building. The next day, you might be called to fix or inspect the heating and cooling mechanisms of several ordinary homes. Often, HVAC technicians work on a single contract for several weeks. For example, a building company may hire you to install ventilation in every house in an entire neighborhood. The wide variety of tasks available makes working in HVAC interesting, refreshing, and flexible. Much of your job as an HVAC technician will involve extensive planning. You cannot simply bring your tools and start installing systems immediately. Before taking out any hammers, pipe cutters, or pressure gauges, you need to study the building’s blueprints (HVAC Excellence). Analyzing the blueprints will allow you to figure out where the heating or cooling systems should be installed. Often, this is the most difficult and complex part of the job. It requires serious thinking, intense problem solving, and an ability to evaluate the pros and cons of installing in a certain location. After you’ve completed the planning phase, you will move your tools and materials into place and start the technical work. In almost any HVAC job, you will have to cut existing pipes and connect different pipes together. This requires you to be very careful. Cutting the wrong pipe or connecting the wrong pipes together can be a disastrous mistake that leads to hours or days of lost time, lost costumers, and reduced income. As you can see, you won’t just be fixing and installing machinery using basic tools like hammers and screwdrivers. 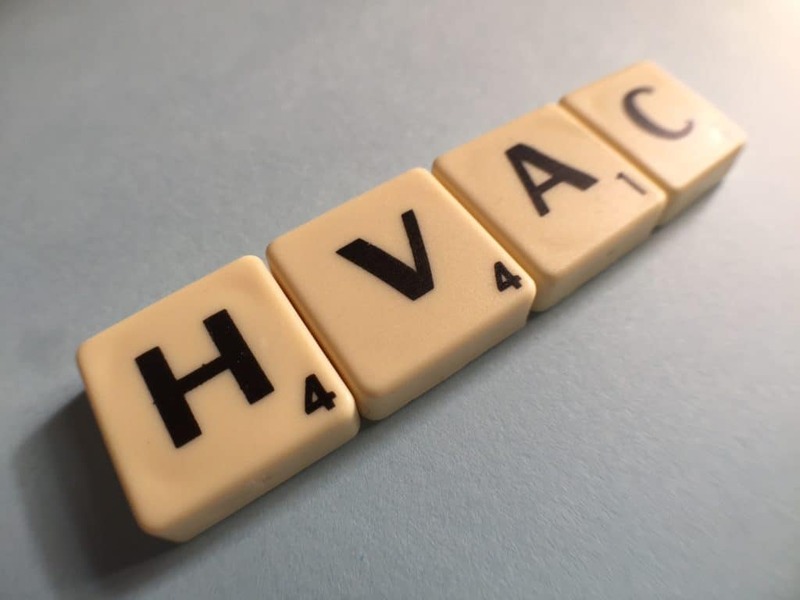 HVAC work also requires analyzing the chemical content of the air to ensure the building’s atmosphere is safe, gauging the pressure of pipes to ensure that they won’t break, and using electrical equipment to connect wires to your cooling and heating systems. Safety should always be first on your mind as an HVAC technician. Even if the job is small, you have to constantly take safety precautions. For example, if you’re working with machinery that produces carbon monoxide, like furnaces or water heaters, you will need to set up a carbon monoxide alarm. You might have to lock out devices or shut off certain breakers to stop machinery from overheating or being overloaded with pressure. Finally, of course, you will always need to wear safety equipment like gloves, goggles, and thick clothing to protect yourself from the many dangers of working in the exposed interior of a building. All of these safety protocols are essential elements of working in heating, ventilation, and air conditioning installation and repair. There are a few disadvantages of a career as an HVAC technician, as there are disadvantages of working in any industry. Exposure to extreme temperatures is almost a guarantee of working in the HVAC industry (Career Explorer). If the furnace in a house is broken during the middle of winter, you’re going to have to fix it in the cold. In the same way, if a recently constructed building doesn’t have air conditioning yet, you will have to install an AC system even if your area is in the middle of a blazing hot summer. You will not have a constant or predictable work location as an HVAC technician. Most of the time, you will be moving from building to building, repairing, maintaining, and installing heating or cooling systems. You might work in an immense office building one day, a factory the next day, and a small home another day. However, there are some constants in the work environment of HVAC technician. You will be working in cramped, uncomfortable, and awkward spaces very often (Occupational Outlook Handbook). This is the natural consequence of the work of HVAC technician. It involves fixing and installing machinery in very tight spaces in uncomfortable temperature conditions. Of course, you may have several hours where you’re talking to customers, planning out a system, or working in an office. But these are only brief respites from the confining and even painful conditions of normal HVAC work. Heating, ventilation, and air conditioning mechanics and installers have one of the highest rates of injury of all careers. According to one statistical analysis, HVAC mechanics and installers have the tenth highest injury rate in the United States (Career Builder). About 2.5% of HVAC technicians are injured on the job, compared to an average of 1% for most careers. Most of these injuries are minor, and almost all of them are preventable. The same study from the Bureau of Labor Statistics reported that injuries in the HVAC industry only required an average of 8 days away from work. This is much less than other careers in construction and engineering. For example, operating engineers have much more severe injuries, requiring an average of 23 days away from work. Finally, if you take the necessary precautions and ensure that you make your work environment as safe as possible, injury is very unlikely. After a few years learning how to be an HVAC technician, you might start your own heating, cooling, and ventilation service. After all, one in ten HVAC technicians are self-employed (Occupational Outlook Handbook). This means you’ll be able to set your own schedule and control your work environment. One of the most attractive aspects of a career in heating, ventilation, and air conditioning is that it does not require long-term training or an intensive university degree. This is in no way means the career is easy, or that you won’t have to do any high-level mental work. HVAC engineering is challenging, but most of the training is done on the job or in a brief training course. Over time, and by practicing in real situations, you’ll develop your skills and master the career. Here’s a summary of the requirements for becoming an HVAC technician. As you can see, there are plenty of ways to get certified. While it is usually better to get your HVAC training in a physical, practical setting, you can take online HVAC certification classes. For example, the site HVACtrainingsolutions.net offers several training courses to get you started on the path toward a productive career in the HVAC industry. After you complete your training program, you will usually advance onto a paid apprenticeship. In an apprenticeship, you work with an advanced HVAC technician, learning about the tools of the trade, the necessary safety precautions, dealing with customers, and reading blueprints. In this phase of your education, you will learn the practical aspects of being an HVAC technician. Apprenticeships do not involve intensive studying or class time, but they are often tough, because they require that you apply your knowledge to very complex systems and problems. Also, there are some prerequisites to starting an HVAC apprenticeship. In most states, you must have a driver’s license, possess a high school diploma, pass an aptitude test involving math and engineering, have a verbal interview, and be able to speak and write fluent English. After you have completed your HVAC certification course, you still have some more training to complete. If you want to be hired for an entry-level position, it is always a good idea to take an industry competency exam. This is a simple examination that tests both your practical skills and your theoretical knowledge in HVAC engineering (HVAC Classes). The North American Technician Excellence program offers several different tests. If you take any of these tests, they will enhance your credentials, improve your salary, and increase the likelihood of being hired at an excellent job. Not only do employers require certain certifications, there are national requirements for being an HVAC technician. The most important of these is the EPA refrigerant handling certification. United States Environmental Protection Agency requires that all technicians who buy, handle, or work with refrigerants in any way be certified in proper refrigerant handling (Career Outlook Handbook). There are several training programs that help you study for the EPA test. Simply check in at the training program in your state and ask them about study programs for the EPA test, and they should be able to provide resources. Alternatively, there are study programs online, like the ESCO Institute EPA Test Study Program. A college education is not required for a career in the HVAC industry, but it can certainly improve your pay and your prospects. If you obtain a Bachelor’s degree in an engineering field, you will blow away employers with your credentials. This can accelerate your progress dramatically. Some of the best majors for HVAC technicians are mechanical engineering, electrical engineering, mechatronics engineering, and architectural engineering. Working in heating, ventilation, and air conditioning requires a very particular personality. It is not enough to simply enjoy working with your hands. You must also have strong communication abilities as you will have to talk to customers about their problems and potential solutions to their issues. You have to be able to work both in a team and alone. And maybe most importantly, you need to be persistent and determined. Working in HVAC can be very challenging and uncomfortable, and if you are not a resolute worker, you will probably not enjoy the job. There are some critical indicators that you’d be excellent as an HVAC technician. For example, did you take a shop, engineering, or construction class in high school or college? If you loved that class, you will probably enjoy and excel working as an HVAC technician. However, the career is not just engineering. According to a real HVAC technician, “the two most important skills are problem-solving and communication” (Career Wise). Before your start working, you need to be able to be polite, friendly, and clear with customers, as you will often be working in your customer’s homes. On the job, you need troubleshooting skills and an ability to find the source of a complex problem. After you’ve identified the problem, you have to apply mechanical and physical skills to fix the issue. To complete a job successfully, you need to plan meticulously and be very detail-oriented. If you miss a few details while studying the blueprint, you might waste several hours trying to work out how a system works when the solution is right in front of you. Also, since working in HVAC can be very dangerous, you need to remember to take a series of safety precautions. If you forget a single one of these precautions, you severely increase your chances of being injured. All of these aspects of being an HVAC technician require that you be intensely attentive on the job. Basic physical fitness, endurance, and strength can be almost as important as mental and character qualities in the HVAC industry (Career Outlook Handbook). If you are not able to stand for prolonged periods of time without getting fatigued, being an HVAC technician will be very difficult. You also need to be able to lift heavy equipment and tools. Finally, it is a necessity to be physically capable of working in extreme temperature conditions, both hot and cold. As an HVAC technician, handling intense stress well is an vital quality. Often, customers have no idea how difficult it is to work as an HVAC technician. They only want their air conditioning or heating fixed. Because of their lack of understanding about the HVAC profession, customers may verbally abuse and deride HVAC technicians. It is essential that you are able to ignore verbal abuse, and let it roll off you without affecting your work or your life. Also, the profession can be very demanding on your time. In certain seasons, you might work as much as twelve hours a day. Your boss will expect you to give up the rest of your life temporarily so that you can fulfill your duties at work. This can be very agitating and tough. If you don’t think you can deal with the intense pressure of being an HVAC technician, you probably want to investigate other professions. The career of an HVAC technician is a mix between the work of a plumber, electrical engineer, and refrigeration specialist. As a result, the training to be an HVAC technician is very interdisciplinary. If you like learning several different types of skills instead of focusing on one area, the HVAC industry just might be right for you. Do classes like “Principles of Refrigeration,” “Air Conditioning Systems Design,” and “Renewable and Hybrid Energy Systems” sound interesting to you? If so, you will love the HVAC technician training process. These classes are required for most HVAC certification programs (Jobs for the Future). If you’re not remotely interested in any of these subjects, you may want to consider a career in a different area. Heating, ventilation, and air conditioning is one of the highest-paid professions that does not require a Bachelor’s degree. The median annual salary for HVAC mechanics and installers is $43,080 (Occupational Outlook Handbook). On the other hand, HVAC engineers, more advanced technicians that usually have a degree in engineering, have a median annual salary of $82,100 (Occupational Outlook Handbook). HVAC technicians rarely have to go into debt to obtain an education, so their earnings can be immediately devoted to improving their quality of life. In general, the most experienced technicians are paid far more than entry-level technicians. According to the United States Bureau of Labor Statistics, the lowest 10 percent of HVAC technicians earned less than approximately $28,000, and the highest 10 percent earned more than about $72,000. After working in the HVAC industry for five to ten years, you will probably see a dramatic improvement in your salary. This happens when employers and customers see that you are a more efficient, valuable, and effective worker. In the first few years of your training as an HVAC technician, you will probably earn very little. Apprentices are usually paid about half the wage of experienced workers (Occupational Outlook Handbook). This is expected, however. During your apprenticeship, you should not be seeking to earn huge amounts of money. Instead, you should focus on learning the skills that will allow you to earn more in the future. Once you develop a reputation as an effective HVAC technician, you may be able to start your own company that caters to the customers that especially appreciated your work. Starting a company can be very difficult. You should expect to initially work far more hours than usual. You must maintain quality practices, follow regulations, construct a good team of technicians, and build your customer base. Once you’ve established a solid company, however, you will earn a much higher salary, and you will be able to control your work schedule and environment (Harris). The Bureau of Labor Statistics reports that 1 in 10 HVAC technicians are self-employed, which is a far greater proportion than most other industries. If you’re looking to make your own business, a career in HVAC may be perfect for you. HVAC technicians usually work full-time. Your hours as an HVAC technician, however, are very dependent on the weather. After all, people only start to notice that they don’t have air conditioning when it’s blazing hot outside. And they usually don’t realize their heating system is down until winter has arrived in full force. In summer and winter, you will probably work a few more overtime hours. If the seasons are especially extreme, you might work significantly more than you expected. Of course, with more work comes more opportunity to earn money and grow your career. If you do end up working an hourly job, your pay depends mostly on your skill. Usually, HVAC technicians working on an hourly schedule will be working on a short-term contract that is anywhere from a single day to a couple of weeks. The average hourly wage of HVAC technicians is between $19.29 and $28.28 (PayScale). There is some opportunity for earning even more when you’re working an hourly wage. If customers love your work or if you were particularly polite, they may offer you a tip. The average hourly tip is about $5 (PayScale). This doesn’t seem significant, but it can raise your hourly wage substantially. Finally, if you work overtime, you will usually be paid more than the standard hourly wage. The average overtime pay for an HVAC technician is between $18.24 and $42.36 per hour (PayScale). HVAC professionals that work in more populated, urban cities will be paid more than HVAC technicians in sparse, rural areas. This is simply because there is more demand for heating, ventilation, and air conditioning in places where there are more people. Areas like New York City, Washington D.C., and the California Bay Area all have very high average salaries for HVAC technicians. Additionally, the weather is a major factor in this industry. Areas with extreme temperatures have more demand for HVAC technicians, which usually increases salaries. The state with the highest average HVAC Technician salary is New York and Massachusetts, which pays about $49,000 annually (indeed.com) and the lowest can be found in Hawaii, with a pay of just $25,000 annually (indeed.com).